Disney Epic Quest – Walt Disney is still one of the most popular cartoon publishers in the world. With their products, the manufacturer has become an essential part of the memory of many generations of people around the world. We all know almost all the Disney princess or heroes like Hercules or Mickey Mouse, … Thus, the popularity of these characters carries the world level. The brand and economic benefits it brings are inconceivable. 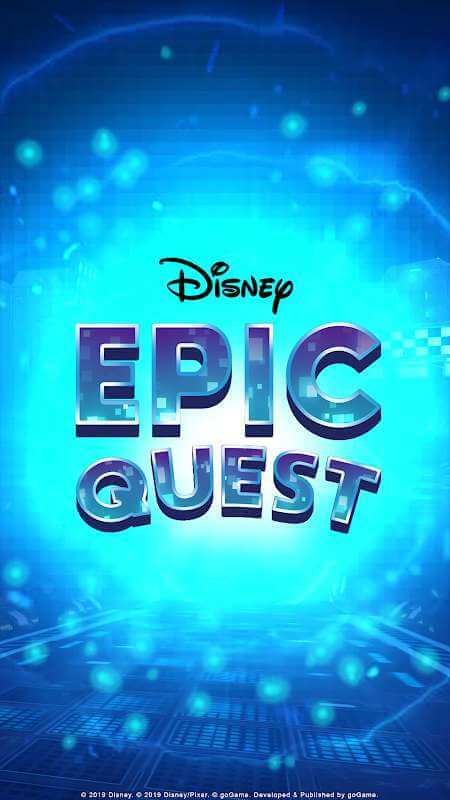 Disney Epic Quest is a brand new game recently announced to Asian gamers by goGame and The Walt Disney Company Southeast Asia. This is a genuine product so you can enjoy the genuine content and elite of the famous cartoon producer. With a history of nearly 100 years, Disney owns a tremendous number of characters. Therefore, if converted into a game that brings together almost all of the icons it will attract a lot of attention. Thanks to that, Disney Epic Quest has received the attention of the gaming community in particular and the fans around the world in general. GoGame also has a small contribution to this product because they have incorporated this product into 3D graphics are extremely beautiful. Smooth manipulation along with the costume variation of the character is also an indispensable attraction. As expected, the Disney Epic Quest will be touted as an action-packed game. In it, the player will be in control of all the main characters that have been loved by the company. The battles take place as a typical ARPG game in the world. With casual gamers, it becomes a simple hack n slash game for them to entertain and satisfy their fans. But for the more experienced players, they learn to master the power and character of the character. These people will know how to maximize the strength of a certain character with various weapon systems and upgrade skills. Although there are many different game modes, the overall gameplay has a specific control for all. 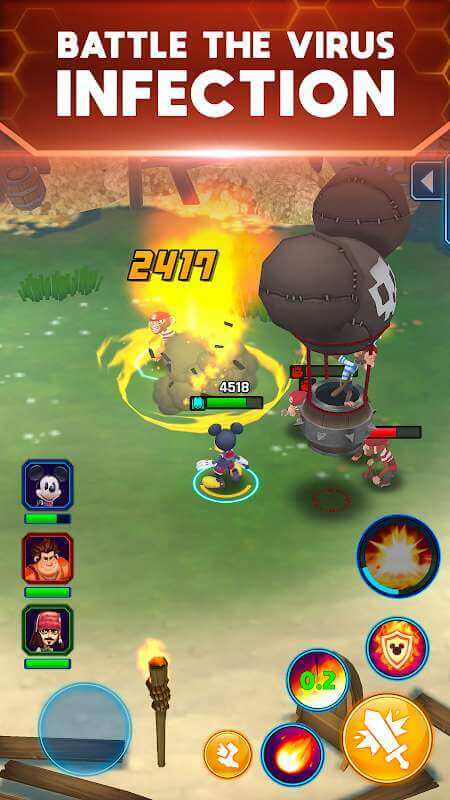 Disney Epic Quest is designed with a third perspective but placed on the vertical screen. This will make the player feel new and control system will also be more flexible thanks to maximizing the MFi button. Each character has four main skills with a spell and an auto attack. The Digital Kingdoms are in trouble with many of the villains who have risen and cooperated. 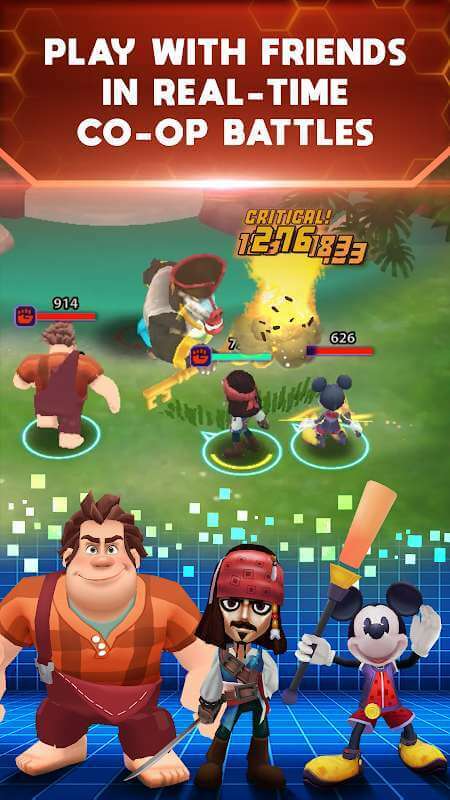 Big Brother 6, Pirates of the Caribbean, The Incredibles, Wreck-It-Ralph, Mickey Mouse and more main characters must work together to save the world in Story Mode. In addition, Showdown, Multiplayer Co-op and PvP also have their own charm in this product. 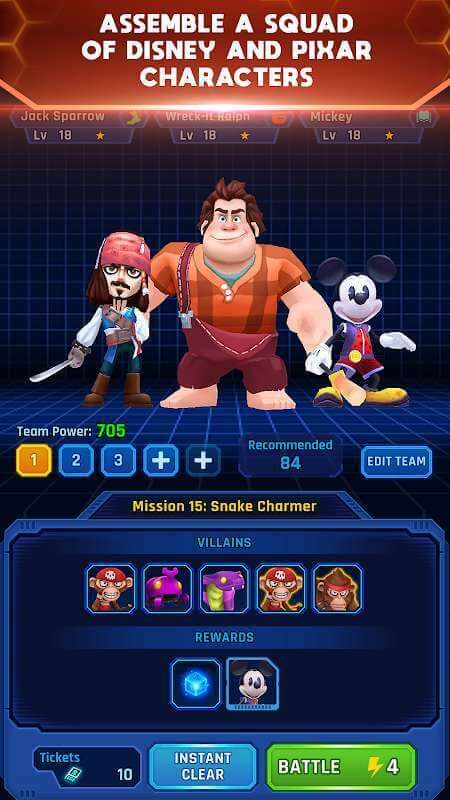 Showdown mode will allow players to confront infected Disney and Pixar villains. While Multiplayer Co-op mode takes players to a much more difficult battle. Thus, this mode allows up to 3 players to participate in the battle to solve the difficulty.